All of our products are 100% all natural plant life herbs. We do not use any kind of unnatural ingredients including animal products, gluten, GMO, binders or fillers. Do this product alter drug testing? All of our products are 100% all natural plant life herbs. We do not use any kind of unnatural ingredients including animal products, gluten, GMO, binders or fillers. There's no ingredients that mimic drugs. We always encourage customers to do the research on the ingredients that you're concerned about testing positive for drugs. can you use this w/ the metabolism booster and the fluid releaser? Yes, you can use all of these supplements together. Just be sure to allow 1-2 hours in between taking each supplement. I'm trying to loss weight but can't afford the full body cleanse now if i purchases just the weight loss formula would it work alone with exercise? Adjusting your diet would be the most beneficial way to have success with using the one supplement. You could still follow the diet part of the cleanses which all raw food. The raw food diet consists of fresh fruits, vegetables, raw nuts and seeds. You shouldn't consume any meats, dairy, processed foods or cooked foods. Cooking foods takes out the nutrients and enzymes that are beneficial to our bodies, so eating food in it’s most natural state is best. 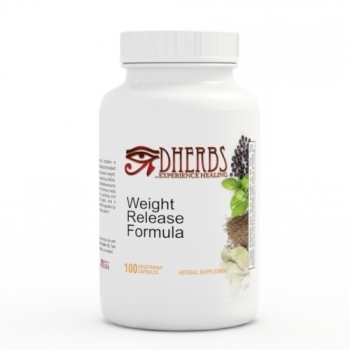 We suggest trying the Colon Formula in addition to the Weight Release Formula.